HOLIDAY HOMES, HOUSES & COTTAGES TO RENT IN HAMPSHIRE, ENGLAND. 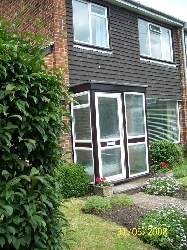 Welcome to our selection of holiday homes to rent in Hampshire, England. Hampshire is a beautiful county in the South of England that is almost half-covered with the two national parks of heathland and the royal hunting deer parks of the New Forest and the chalk-laden downlands of the South Downs. It is the birthplace of the classic writers of Jane Austen who has a preserved home in Alton and likewise Charles Dickens who has his home preserved in Portsmouth. The famous industrial pioneer Isambard Kingdom Brunel and the original birthplaces of the British Armed Forces: the Royal Navy; British Army and the Royal Air Force. The county�s main town is Winchester and has two of the largest ports of Southampton and Portsmouth, which have many museums dedicated to its military history such as the Southampton Maritime Museum and the Portsmouth Historic Dockyard. It also hosts generous coast areas given to scenic views berthed with commercial and military sea faring vessels. There is coast that offers generous stretches of beach given to water sports and the more relaxing pastime of sunbathing during the peak season. Winchester has its own cathedral, which is one of the largest in Britain with its humble origins starting as far ago as fifteen centuries ago as a small Saxon church. Winchester also celebrates its county�s rustic attractions such as Marwell Wildlife in Winchester, which is a 140-acre park to over 250 dangerous and exotic species of wildlife. The county town also celebrates its educational centre of the Intech Science Centre and Planetarium and for those seeking an adrenalin rush � there is the amusement centre of Paultons Park that has over fifty different attractions and rides. The New Forest also has a riding centre at Burley-Villa School of Riding, which is ideal for those who want to explore its nature. Golf is also available and naturally enjoys generous views. Looking for self catering holiday accommodation in Hampshire, then below is a selection of houses, holiday homes, flats and holiday cottages in Hampshire that can be rented direct from their owners. You can either click on each listing for further details or you can use our search engine on the left if you are looking for something in particular.